Ergonomics is a science, not a slogan. At VistaLab Technologies, we take the science of ergonomics quite seriously. We spent years working with ergonomic experts to study the physiological dynamic of pipetting and the root causes behind injury. 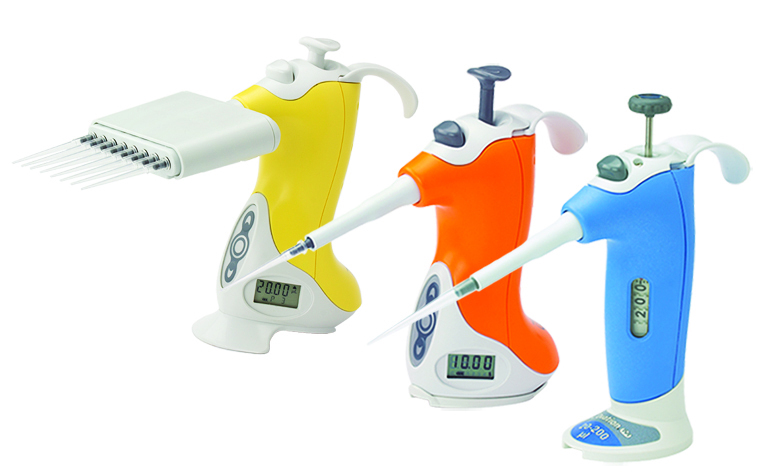 It was clear that simply decreasing button pressure or changing a grip wouldn’t make a pipette ergonomic – an entirely new type of device needed to be designed in order to truly minimize the risk factors so common with traditional pipettes. 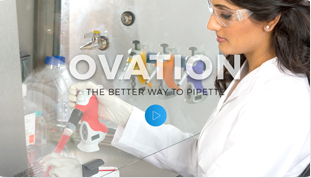 When selecting the best pipette, start by looking at the facts. To be “ergonomically correct”, significant changes to traditional pipetting postures are essential – like minimizing forearm and wrist rotations, keeping a low arm and elbow height, and relaxing the shoulders and upper arms. 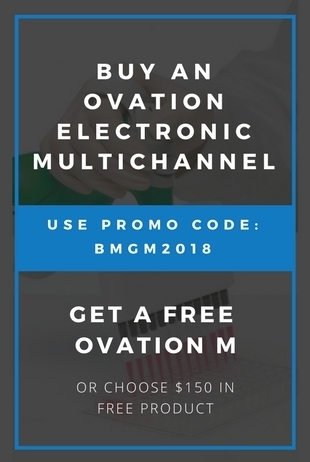 This is virtually impossible when using pipettes with elongated axial designs. 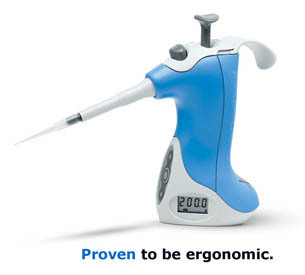 A number of pipette manufacturers have made changes to their old product designs and now label them as “ergonomic”. 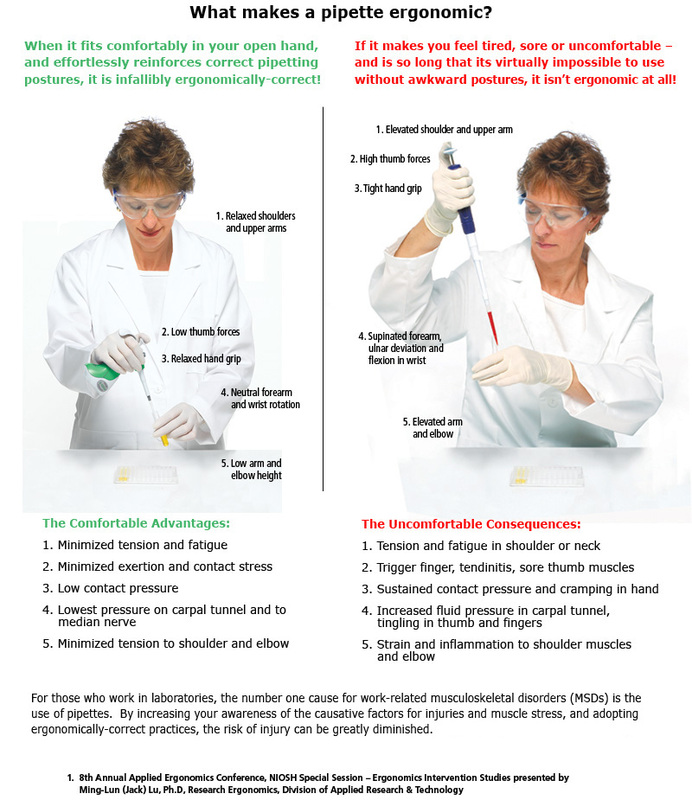 However, none of these changes affect pipetting posture – the true culprit behind prevalent injuries like carpal tunnel syndrome, tendinitis and a host of other musculoskeletal disorders. In fact, it is quite easy to see these pipettes are all somewhat similar – with the same elongated axial design their predecessors have featured for decades.